Motto The Bells are calling. Ascunse Pădure is a forest settlement located in the peninsula of the same name. 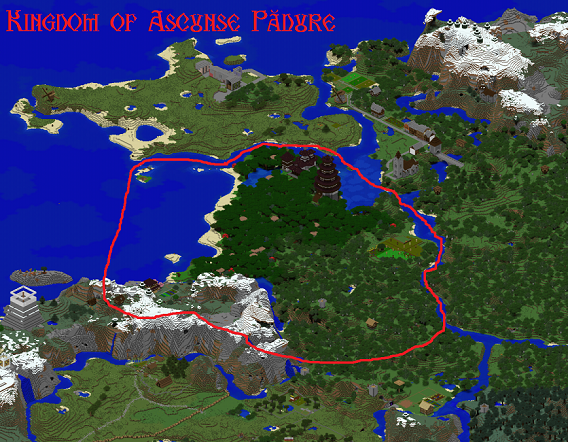 The Kingdom has 2 small towns and one large monastery, which is still being built. The lands of the Kingdom also include the Rumia Mountains to the west. The kingdom of Ascunse has liberty of Religion, but such as it is 90% of its population adheres to the Romanian Orthodox Church. MystiaLorelei is the founder and ruler of the tiny settlement. She is Queen of her small domain, where she overseas everything that happens.